The perfect celebration partner - a bottle of G.H. Mumm Champagne! 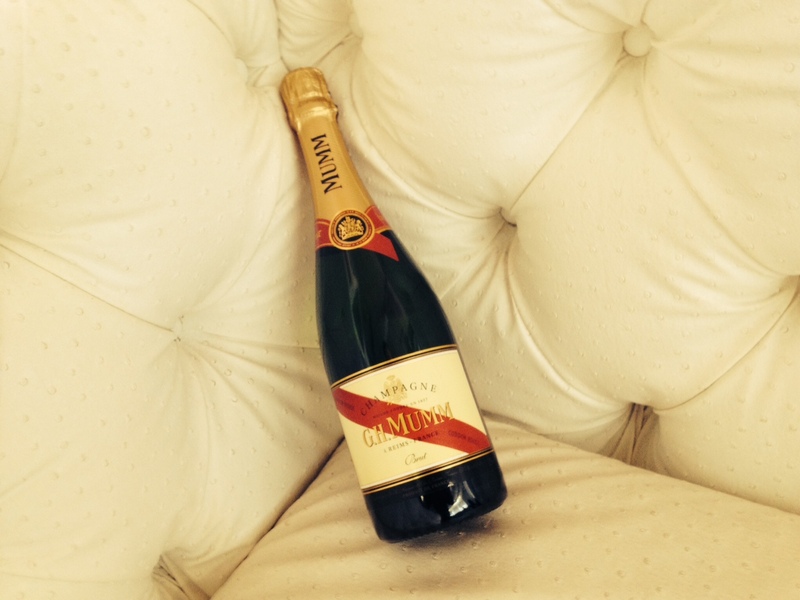 20 Years of Democracy – Why I will be celebrating (with Mumm). On the 27th of April, South Africa will celebrate 20 years since we had our first democratic election in which all South Africans had a equal standing in choosing their government. Now, regardless of which political party you follow, and what political ideology you believe in (and yes, in South Africa there is a big difference between these two), we have a reason to celebrate – that our nation guarantees the right that we are all entitled to our say, and that my vote is no more or less important that anyone else. If that is not a reason to celebrate by popping open a bottle (or 6) of Mumm champagne, then I don’t know what is. But here is a little more on why I believe that 27/04 should not be regarded as just another public holiday. 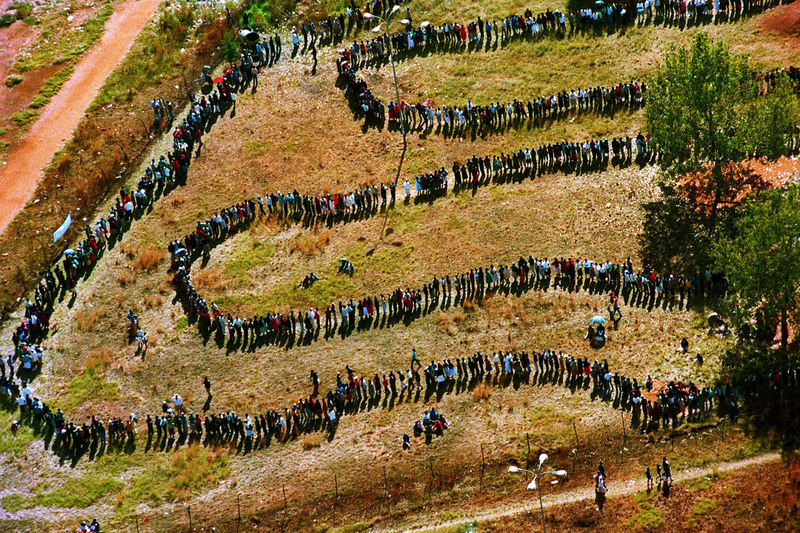 The long 1994 election queues. I was a lot younger, and still in school when we had our first democratic elections, but even back then I was politically aware, and fully understood and appreciated what a major event I was privileged enough to be witnessing. While I was not yet old enough to vote, I was insistent that I go with my parents to stand in the very long queues when they went to vote because I wanted to feel the excitement of being in the middle of it all. While I stood in the queue, I was also very aware that both in front of me and behind me were people representing different races. For me, standing in this long queue was a rather profound experience. Why? Because it made such a direct and strong statement – regardless of who you are or what race you are, you all have to stand in the same queue and wait your turn to cast your vote. As we got nearer to the polling station, I saw people emerging from casting their vote, and most of them were overcome with emotion. Men and women left the building, many of them in tears, and I particularly remember an old black women being helped out the building by a family member, and seeing the difficulty they were experiencing a group of men (white and black) ran to her assistance. When a white guy and a black guy took either side of her and provided her with the support she needed, her daughter burst into tears, soon followed by the entire group. She was helped to a bench to recover, and the two men who had helped her shook hands and rejoined the queue. It is something I will truly never forget. Now, 2014 is also our election year for the provincial and national seats; and yes, it will be one of the most anticipated elections, probably since the 1994 elections. While some say that South Africa has regressed, it is undeniable that, as a nation we have come very far. Yes, we can argue that the Government has not lived up to their promises, and yes, the past 20 years is riddled with stories of corruption, and yes, our President’s reputation may not be beyond reproach, but think of it this way; the fact that we can openly criticize our Government is wonderful, the fact that we did not descended into a civil war is fantastic, and that we will also have the legacy of Nelson Mandela to inspire us is something that no other nation can take ownership of. We are a nation, and yes, among us we may fight, argue, criticize, complain and want what we don’t have, but I know of another social structure that also had those things happen within it – a family. I put it to you that we are more like a family than a nation. We have different beliefs, expectations, goals and aspirations, but at the heart of it all, we love each other and we would be fiercely protective of each other should anyone wish to bully us. This comes shining through is situations where we have the most to lose; just think back to the 1995 Rugby World Cup, The 2010 Soccer World Cup, Charlize winning her Oscar, Ryk winning is Olympic Gold, Hansie-gate, the current OscarP saga, and of course, the passing of our beloved Madiba. Good or bad, as a nation, as a family we come together. The perfect celebration partner – a bottle of G.H. Mumm Champagne! That’s the reason why I will celebrate our 20 years of democracy. That’s why I will pop open a bottle of Mumm Champagne and share it with my friends and family. I will celebrate being part of a larger family that, albeit slightly dysfunctional and at times highly embarrassing, I love and cherish. And if you also want to celebrate with a bottle of Mumm Champagne on 27 April, then, in the comment box below, tell me why you will be celebrating South Africa’s 20 years of Democracy. the winner will be chosen on 22/04 and the bottle will be couriered in time for the 27th of April. Senses engaged! The Chivas 18 Event at CIRCA art gallery in Jozi!